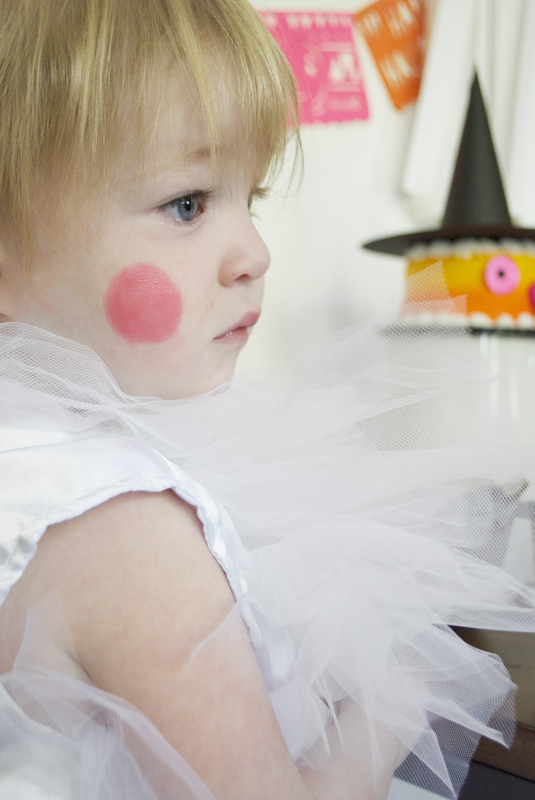 You’ve still got time to plan a great Halloween party! And with all your decor made out of beautiful paper it’ll be simple and affordable. 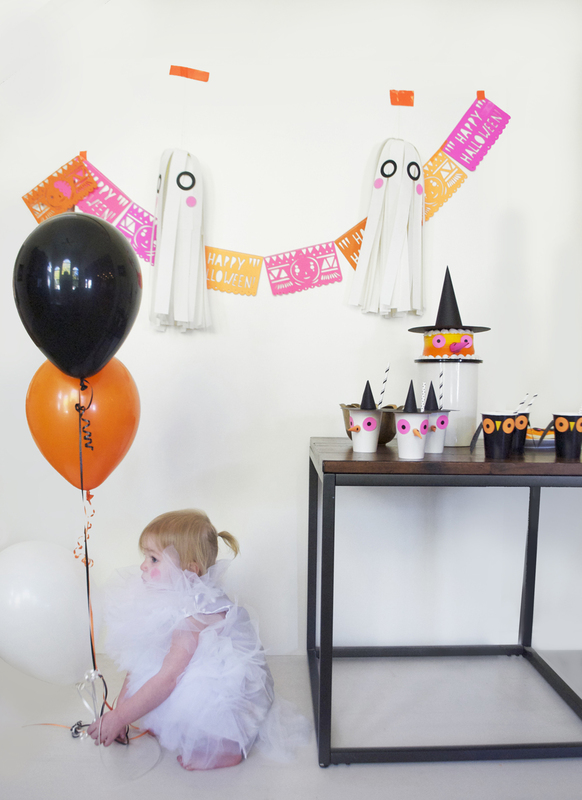 I’ve teamed up with Astrobright Paper to bring you super fun and simple ideas, like these paper strip hanging ghosts!, to colorize your spooky bash. 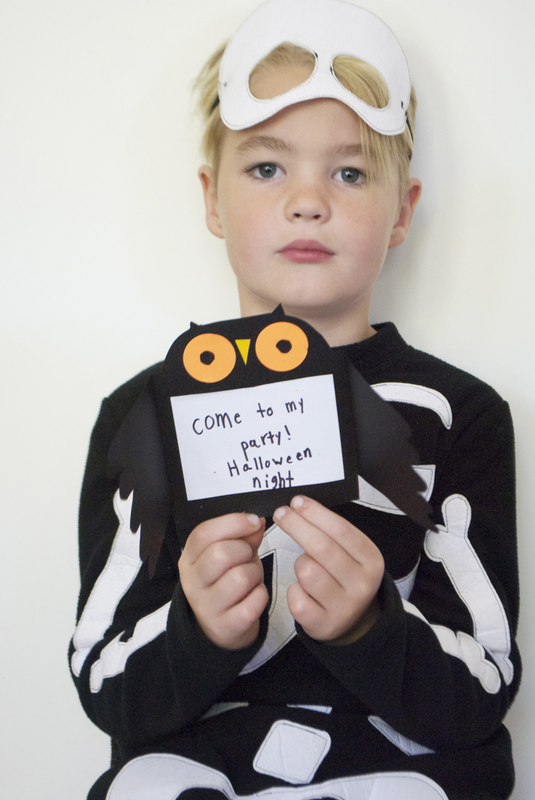 Aj and I worked on making these cute owl invites with wings that open and shut. You can download the template for them here. Use a white colored pencil to draw on feathered wings and simply write what you want to say to guests or use as thank yous! 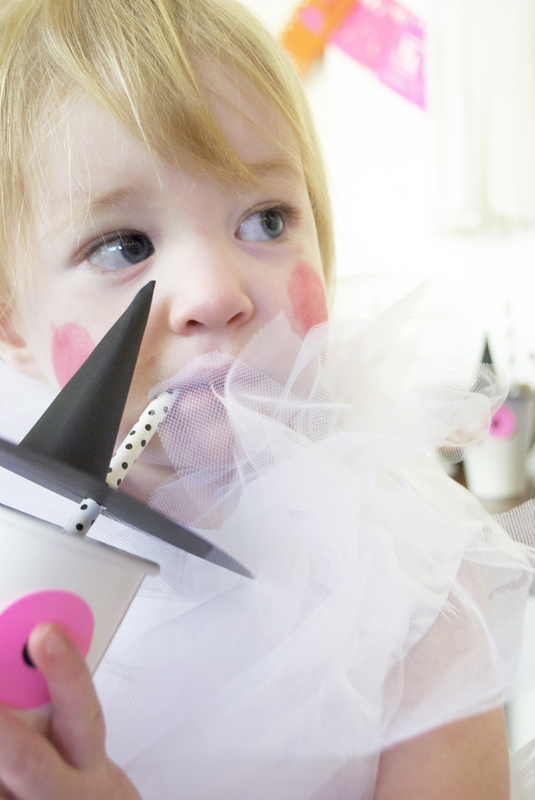 We also decorated simple paper cups as owls and little witchies. The kids were crazy about them. 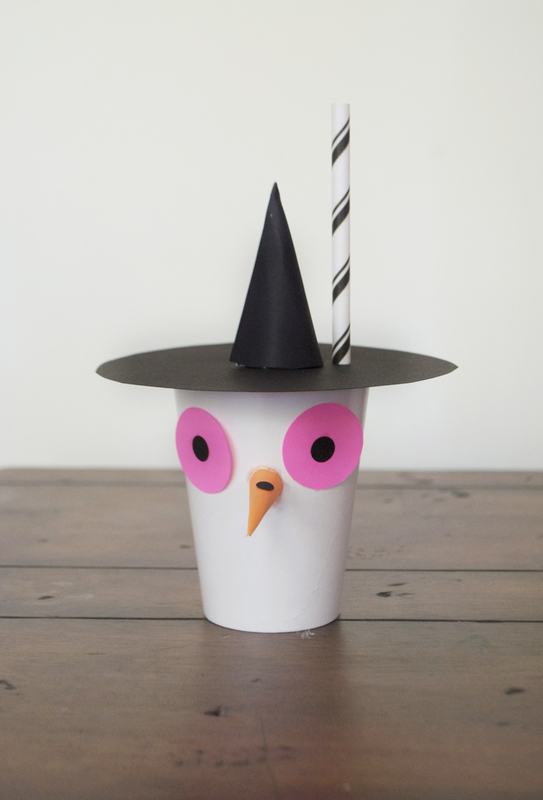 You can download the owl and witch cup templates here. 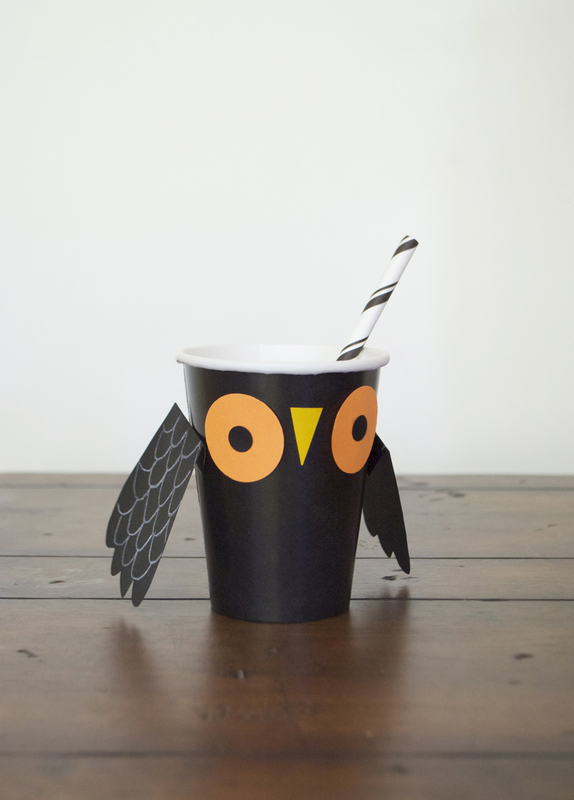 Simply cut out the shapes, draw on feathers to the owl wings, and adhere to cups with adhesive such as a tape or glue. 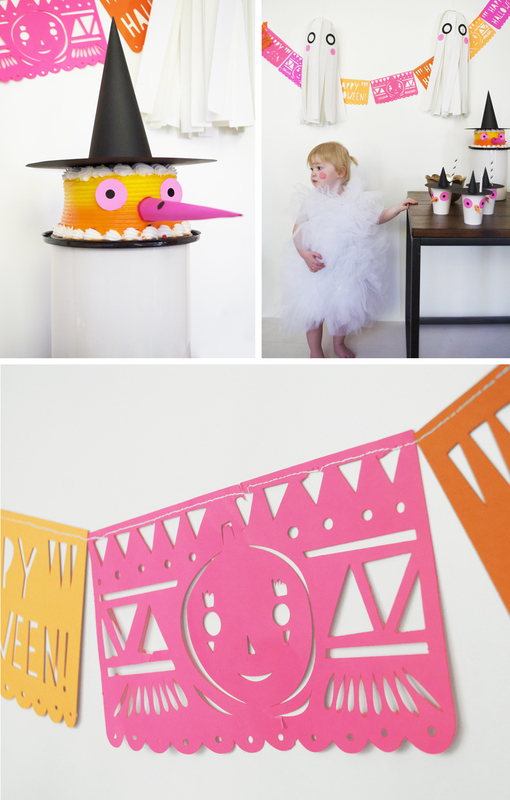 I made some Halloween themed papel picado from these pretty bright papers and cut everything out with a Cricut Explore. Makes it super easy to make a bunch of them! You cand download my designs here. 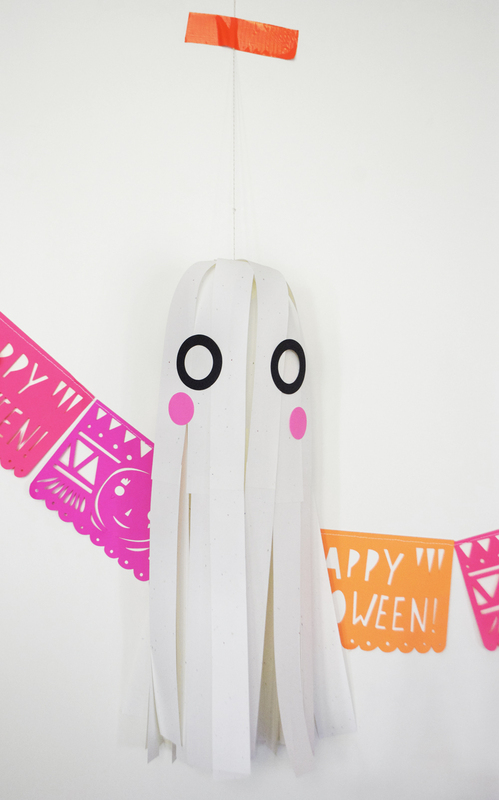 One of my favorite things to make was this paper strip hanging ghost. 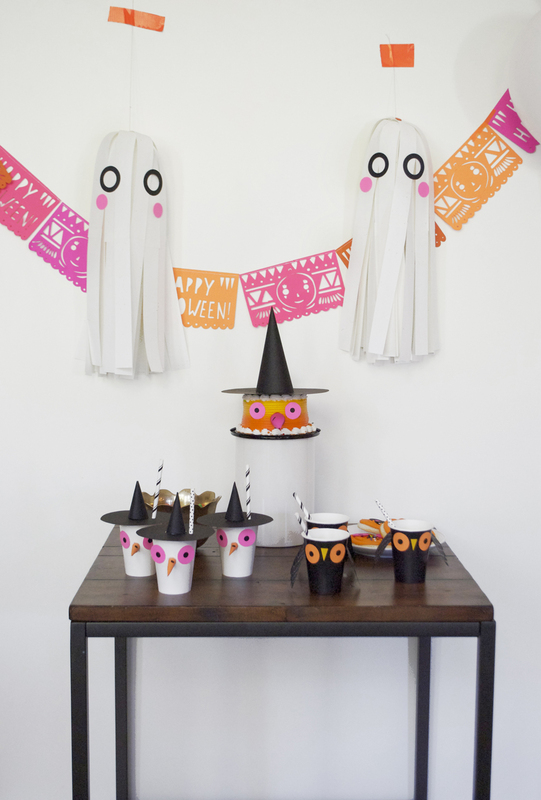 These guys will make a great impact to your home and party decor! 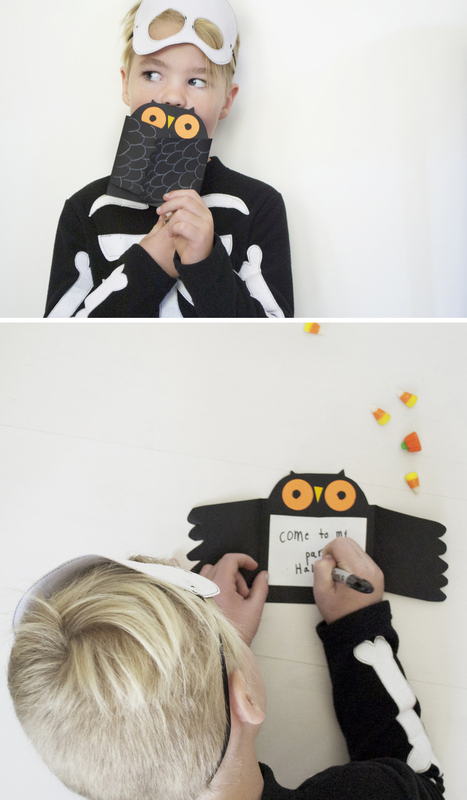 To make these I cut several 2″ strips of white Astrobright Paper. 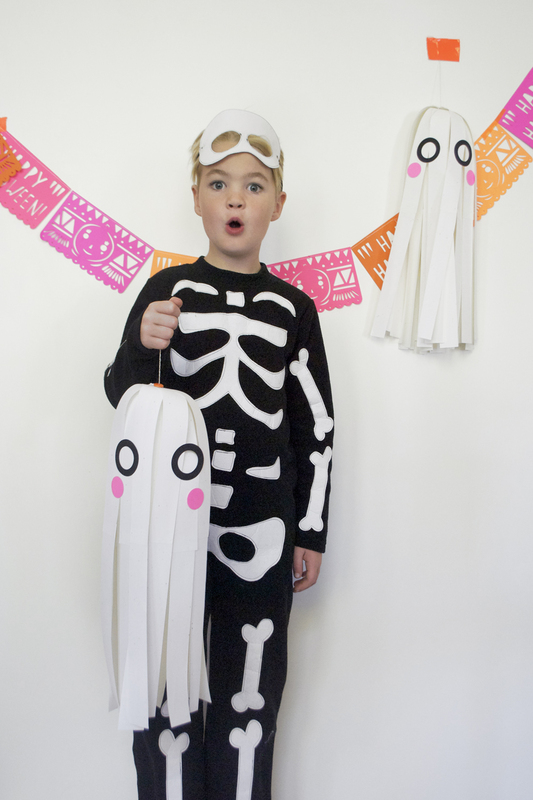 I then taped each 11″ strip to another one to make these ghosts extra long. 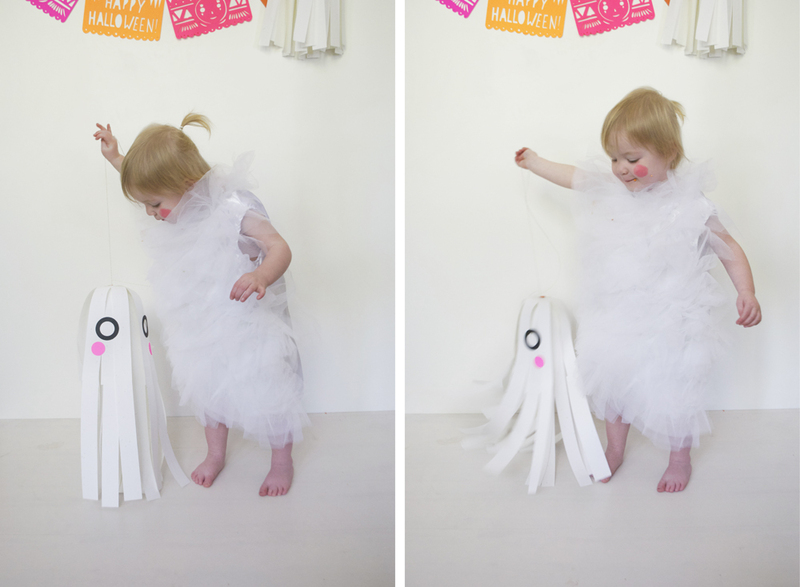 Just use as many strips of paper as you want for however full you want your ghost to be. I then punched a hole in the top of each strip and secured with a large brad. To hang simply wrap a string around the brad and adher to the wall or ceiling. I added eyes and cheeks using Astrobright cardstock cut from various sizes of hole punches (i’m a bit obsessed with punches these days). 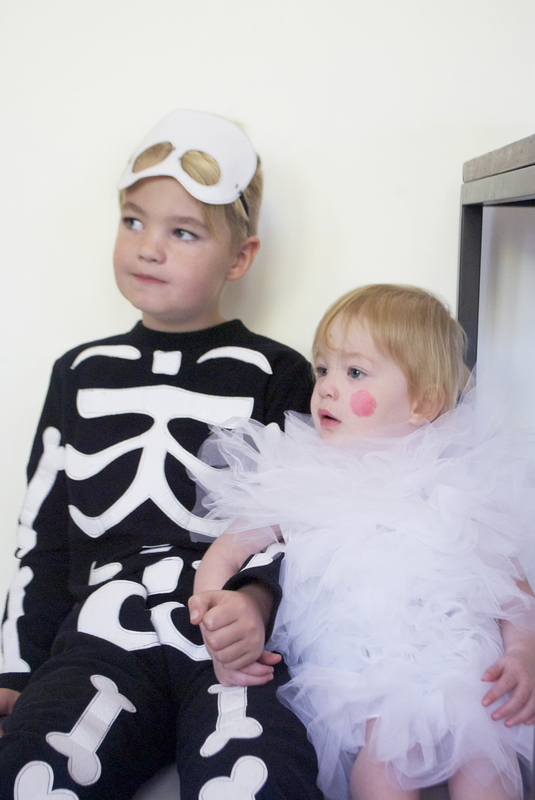 I love seeing these two together (in their cutest Pottery Barn costumes! Miss M wouldn’t wear her darling little swan headband but she was still so adorable). My oldest and youngest. I love how he looks out for her. So super sweet. For more ideas and inspiration on how to Colorize your party check out Astrobright’s tumbler page here. Did I mention they have THE best selection of colored papers? (not being paid to say that either, I’m picky about paper and I really really love their colors!). Such great fun! This post is sponsored by Astrobrights Paper. All opinions are my own. that are reçu pour évaluer la moyenne de la version actuelle de cet article. daily, this site is truly pleasant and the viewers are really sharing nice thoughts. ¡Hola! Alguien de mi Facebook compartio este sitio web conmigo y me he ´pasado para mirarlo. 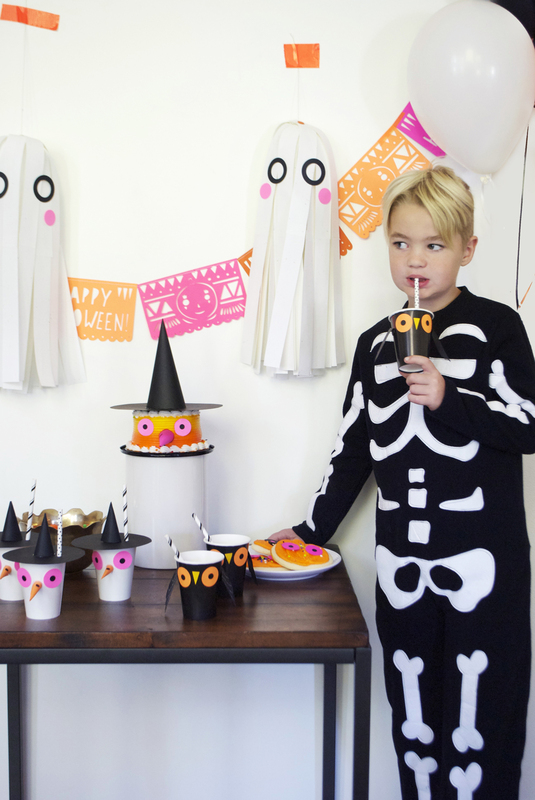 Halloween, you can add a metallic mask, reversible cape or carnival mask for less than $10. Selecting a holster in your 1911 doesn’t need to be sophisticated. il lui a trouvé des signes d’infarctus et lui a “ordonné” une scintigraphie d’effort. Such actions would slow down the rate of increase in nationwide- income and lower down the total opportunities for extra employment. from the involved party, including the digicam getting used. This style of pictures is totally about shut-up photographs of a particular subject. be an skilled at capturing pictures from a excessive elevation. hdlpful information with us. Please keep us informed like this. of this starting so I got a new number with upgraded phone as well. let me look into DominoQQ. it might be something you have to do on your end but I’ll see.